Since I was little, I was taught the importance of keeping a healthy body. Practicing many different sports for me was the best way to do it, my body was healthy and strong, but I knew something was missing out. My mind was running fast, always seeking for something more, I was never satisfied. My mind was still weak, jumping a lot from thing to thing. Then, one day, I found Yoga: like the muscles, the mind too should be trained. Yoga helps you find peace with your mind, while training the body; in fact, body and mind should grow together in order to find balance and bring harmony into your life. All this is easy to say, but in real life it can be hard to find harmony, cities are very noisy and stressful and even if you find a good spot to practice Yoga, after your practice, you will be thrown again in the collective craziness. Sometimes we need to switch off from all the chaos around us. Truth is that nowadays yoga studios are very comfortable and enjoyable: the yoga teacher will choose for you the right temperature and a nice playlist of chill music. 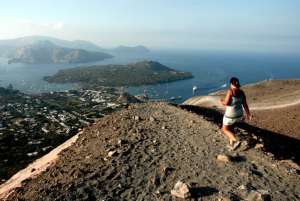 However, if you are looking for something different, something that instead of a hot shower will give you the chance to jump in the sea, then a Yoga and Sail Retreat around the Aeolian Islands will be perfect for you! Image if you could practice Yoga in a small island with no cars around and be able to only listen the sound of the waves crushing into the rocks. What can be more peaceful than the sea? Life at sea is peaceful and exciting at the same time, it always make us feel alive. Keep using your imagination, try to realize how peaceful a sailing tour cruising around seven small islands will be and practicing Yoga in each one of them too. Probably it will be one of the most peaceful week of your life! Thanks to the power of imagination, some people can make dreams come true. 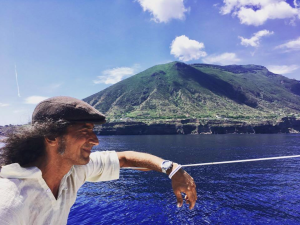 Now it is possible to cruise around the Aeolian Islands with a sailboat rented as a cabin charter for an amazing experience between land and sea. The sailing tour will start from Portorosa, the nearest harbor in Sicily. Leaving the mainland we will cruise around the Mediterranean Sea stopping each day in a different island: Vulcano, Lipari, Salina, Alicudi, Filicudi, Panarea and Stromboli. There will be two Yoga session every day, one at sunrise and one at sunset, giving you the best time of the day for taking care of yourself with asanas, pranayama and meditation. We have chosen those times of the day because they have the best temperature needed for a good practice, not to mention the show of color that we will be able to admire. Sorry but there will not be any nice chill music, we will only listen to the sounds of nature! Between the Yoga practices we will also do different activities like snorkeling, trekking and hiking. 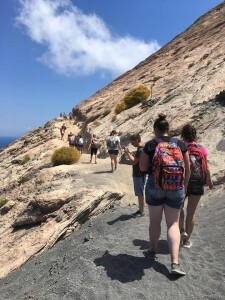 Of course there will also be some free time between activities, so everyone can explore and admire each island by walking around and connecting with the locals. Vegan Organic food will be served during the sailing holiday from our team for each meal, also water, tea and snacks will be provided during the day. We will spend each night far away from any artificial lights and sound, mooring with the sailboat in far away bays, admiring the stars and relaxing with the beauty and movements of the sea. The Seven Sisters that we will explore are all unique and magnificent, in each one of them you will find a treasure that is impossible to find in cities. 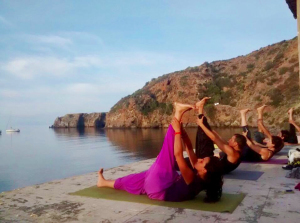 In the Mediterranean Sea, in the archipelago of Aeolian Islands you will find the right harmony necessary to practice Yoga with a clear mind. Nature itself is always relaxing and inspiring, but around this area it is very special and perfect for a yoga sailing holiday. Between Yoga sessions we recommended to explore with us the islands for trekking and hiking, to admire the stunning scenery and properly get in touch with the high energy that surrounds you. The intention is to make a connection with the land. Cruising around islands with a sailboat will also help to make a connection with the sea. 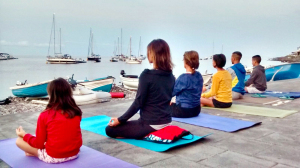 The Yoga and Sail Retreat program is a great way to go on a sailing holiday and really feel harmony. It is designed to recharge your energetic batteries and truly rejuvenate your body and mind to leave you feeling inspired, refreshed, centered and peaceful. In the practice of Yoga we work hard to create unity: within ourself and in relation to other people. 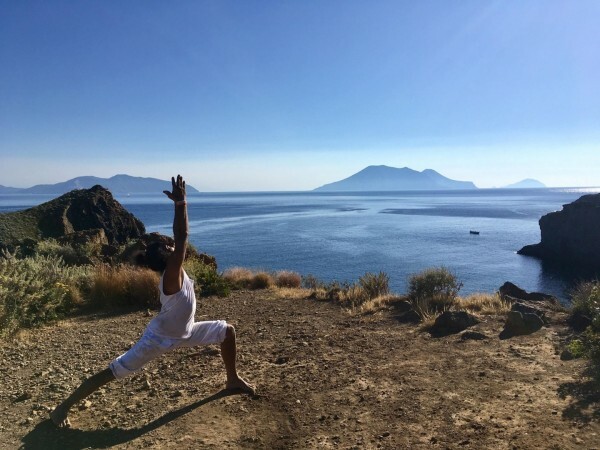 It is our wish to help you follow this path to the best of your ability and for this reason during the sailing tour and the practice of yoga in the Aeolian Islands with us we will do our best to help you get nearer to achieving this goal. Previous: Sailing in Sicily: Salina, island of many facets. Next: Does a Sailing Holiday in Spain equal Fun?